The public believes in 100% renewable energy. I want to give it to them. Clean power is popular across the entire political spectrum and can be a uniting force in this divided world. It is truly a grassroots opportunity. Americans have less trust in large institutions than ever before, we are going straight to the people to build a customer-centered energy system. We must inspire them to be a part of the change and take action. I had the pleasure to interview Lynn Jurich, the CEO of Sunrun, the leading residential solar company in America. 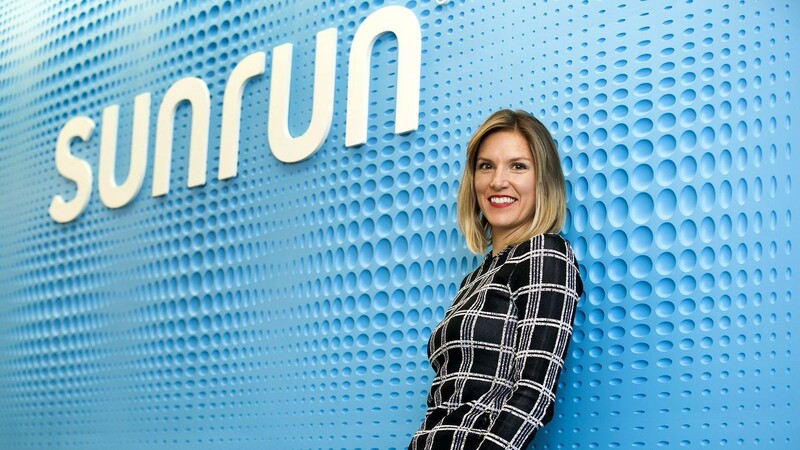 Lynn founded Sunrun in 2008 in her business partner’s attic after she won a bet with her husband (both Stanford grads, they decided whoever had the best startup idea would get to start their company while the other got a regular job — Sunrun won). However, funding a company at the height of the recession proved nearly impossible. They were also slowed down when federal tax credits stalled in 2011, taking them from 100 customers a month to 9. Luckily, Lynn was able to succeed and took the company public in 2015, ringing the bell with her one-month-old baby on her hip. 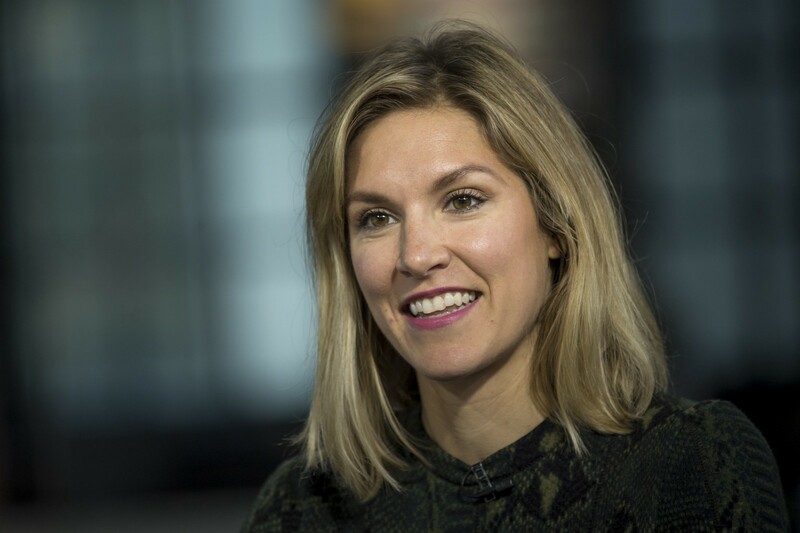 She revolutionized the industry by introducing a solar-as-service model which effectively leases solar panels to homeowners so they can avoid the upfront cost of purchasing. Today, the company is one of the most successful solar companies in the US. Just this year, they surpassed Tesla as the largest residential home solar provider. The company is valued at 1.7 billion dollars and its customer base has grown by 38% annually for the past five years. 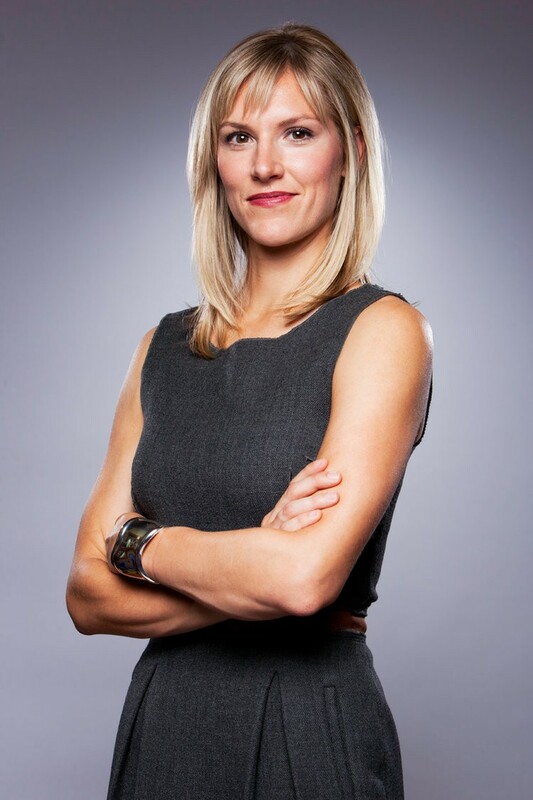 This year, Lynn was named a Fortune 40 Under 40. I’m from the Pacific Northwest and grew up in a home surrounded by trees and a fabulous public park. I think spending time in nature rejuvenates the soul and makes us more expansive humans. 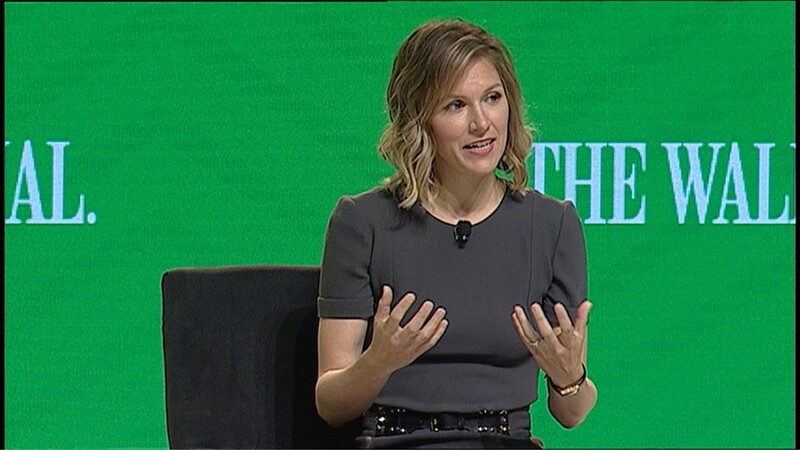 As I started my professional life, I got a taste for entrepreneurship during the first tech boom at Stanford and during my post-college job as a venture capitalist. When I went to China for a summer internship during business school, I saw the impact of pollution first-hand, as the Shanghai sky was full of cranes and the air pollution would tarnish my silver necklace in a day. I wanted to create something at scale to help us use our resources more efficiently to support global growth. Creating a sustainable planet is both our greatest societal challenge and our greatest durable economic opportunity. Two months after graduating Stanford business school and leaving a lucrative venture capital career, I found myself standing next to a giant pumpkin at a county fair outside of Sacramento. My task was to flag down families to convince them to go solar. I wound up pitching a woman who ran her own trucking company. She was skeptical of trusting a six-month-old startup in a multi-decade contract, but we convinced her to sign up with us. She was our first real customer. I’ve made so many mistakes, and I’m still making mistakes! More than anything, I am driven by the need to contribute to something worthwhile. I’ve had to learn not to burn myself and the company out by focusing only on outcomes and forgetting to enjoy the process along the way. I now bring a more playful approach to Sunrun; one that cultivates the heart and soul of the team alongside tangible business results. In business school at Stanford, I met my classmate and future co-founder Ed Fenster. We came up with the idea of solar-as-a-service to provide households clean, affordable solar power from their roof without any upfront cost or maintenance concerns. 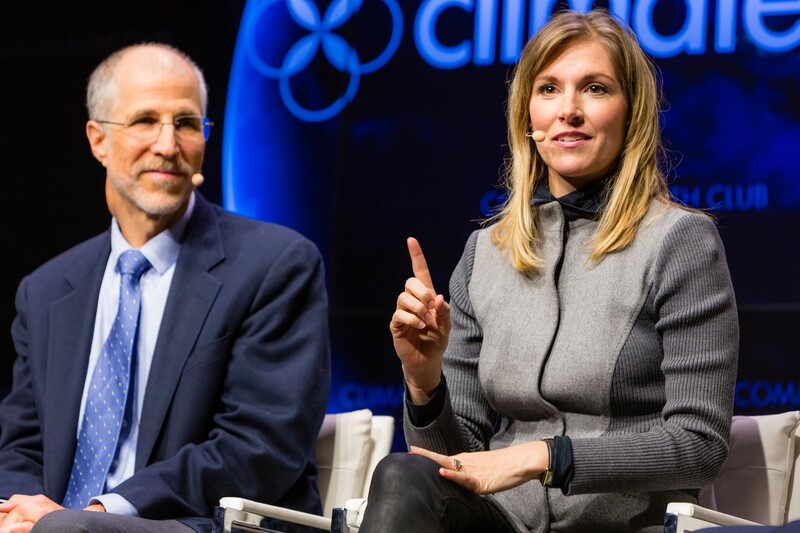 That idea changed the way Americans are able to participate in a clean energy future. Our current electricity system is more than 100 years old, with very little innovation. We believe that a customer-centered energy future, where people have access to affordable, reliable power generated on their own rooftops, will meet those needs. Americans want clean, renewable, and reliable energy, and Sunrun is making that happen. Are you working on any exciting new projects? How do you think that will help people? Adding a home battery like Sunrun’s Brightbox, to rooftop solar is revolutionizing our energy future. We are building an energy system designed for people and their needs. We believe that every roof that gets sun should have solar panels paired with a battery. By storing clean solar power in a battery, people can use that power at night when the sun isn’t shining, withstand extreme weather, keep the grid stable during times of high usage, and make 100% renewable, clean energy possible. I follow the 15 commitments of conscious leadership, which helps me find balance in my leadership style. Two of those commitments particularly resonate with me: Create a life of play, and create win in all solutions. This means I try to maximize my energy by not getting burnt out, while still creating opportunities for success for myself and others. Don’t compromise on hiring great people that embody your value system. Set high expectations for them, and create transparency by providing context around your strategy and values. My mom, hands down. She has taught me what it means to be a present parent, whether your children are toddlers or full grown adults. 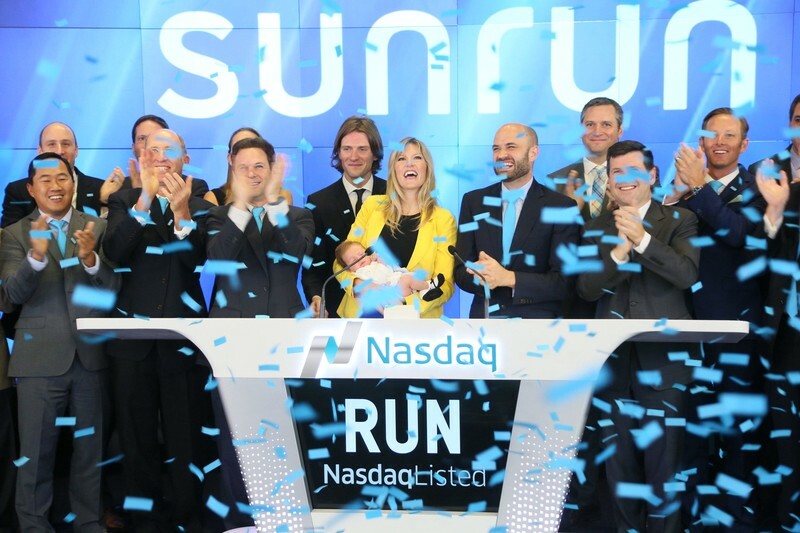 When my daughter was barely a month old, Sunrun launched our IPO. I brought her on the road show and and my mom was right there next to me to help make sure she was well taken care of. We have an amazing picture of us ringing the opening bell on NASDAQ with three generations of Jurich women: me, my mom, and my new daughter. It was a really special experience to have her support, both physically and emotionally. I feel a lot of gratitude to be leading the largest home solar company in America. People want to go solar. They love it. Solar a no brainer: clean, affordable and reliable energy means less pollution and healthier communities. My job is to make that experience easy and accessible. I’m also very proud that Sunrun has created more than 4,000 quality jobs for Americans across the country, and has achieved 100% pay parity for our employees. Think long-term, in terms of decades and not years. I hope to work until I’m 90 and revolutionize the energy industry. No one has changed the electricity grid and physical infrastructure in more than 100 years to meet the needs of our innovating society. Today, we have the technology at our fingertips to give people the clean energy they are asking for and make our energy infrastructure more resilient and customer-centered. There aren’t many trillion dollar markets for achieving both financial and social impact. Energy is one of them. I love to seek out potential in myself and others that can contribute good to the world and cultivate great personal achievement. Early in my career, I used this skill as a venture capitalist. When we started Sunrun, 100% of people told me it was a mistake and that I was crazy to leave my job in private equity, but I believed in the possibility to power our entire world with the sun and wanted to build a community to do it. All people and all circumstances are your allies. This is my daily morning meditation. I’m committed to this philosophy; pairing it with a morning meditation session allows me to get into the mindset each day to regard every interaction as an opportunity to learn. It’s also made me more comfortable with risk taking and “failure”. People are hiding from climate challenges, but we must tackle them head-on and from a place of optimism. Paul Romer, an economist who was recently awarded the Nobel Prize, says “My sense is that optimism is part of what helps motivate people attack a hard problem. Many people think protecting the environment will be so costly and so hard that they just want to ignore the problem or they want to deny it exists.” I never want to be one of those people who stick their head in the sand when faced with a challenge; instead, I want to believe we can solve it. Dr. Romer was one of my business school professors, and his lessons stuck with me throughout the years! Approach problems from a place of abundance, not scarcity or fear. There is still so much work to do as we build a clean energy future, and ample space for everyone to thrive. A customer-centered energy system cannot be achieved by one company, or one industry alone. Just as consumers are part of the solution, so too are utilities, commercial solar installers, electricity providers, and more. That’s why Sunrun is working with utilities across the region on grid services projects: to ensure that we’re building a distributed, resilient system that is a win-win for all parties. If it’s hard, make it easy. Thank you so much for these insights. It was very inspirational!